A match made in heaven. This SHOOKIE has the perfect doughy taste and texture. 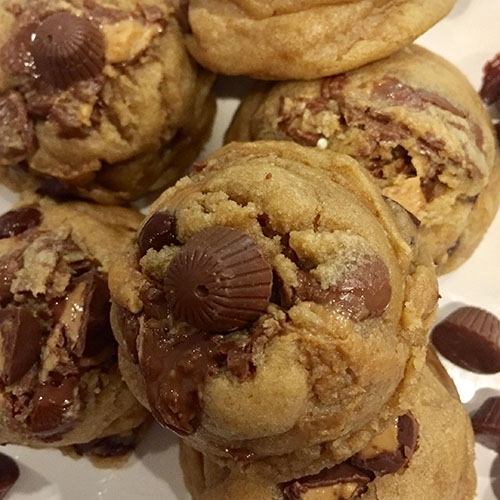 It’s filled with creamy peanut butter, chunks of peanut butter cups and chocolate chips. Ingredients: Flour, Pure Cane Sugar, Brown Sugar, Butter, Chocolate Chips (sugar, unsweetened chocolate, cocoa butter, soy lecithin, vanilla), Eggs, Salt, Baking Soda, Baking powder, pure vanilla, peanut butter.